I haven’t talked video games in a little while. But I’m very excited for the 7th, it is a double DLC release from Bioware. 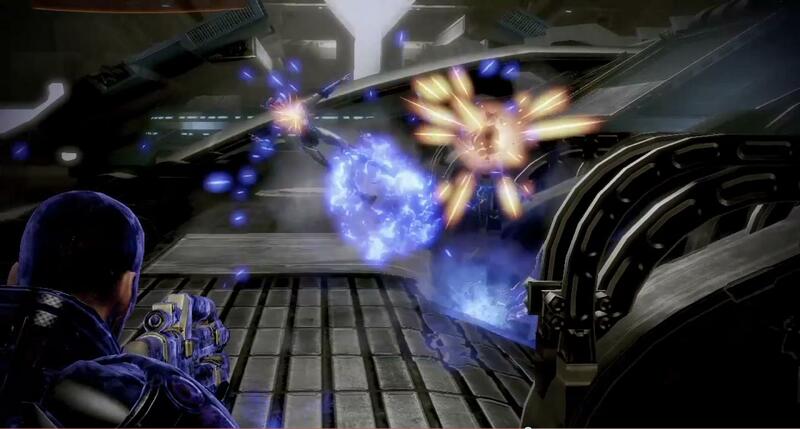 Witch Hunt comes out for Dragon Age and Lair of the Shadow Broker comes out for Mass Effect 2. Both of these are meant to be played after completion of the game, which is a pretty cool idea. Before this all the DLC was really meant to be played before you did the last mission; which is hard to do if you finished the game the month it came out. I actually have been sitting with my Renegade play through half finished because I was waiting for all the DLC to come out. Now it looks like the majority of it will be post suicide run, so I’m going to start catching up on what I missed. In case you’ve ever wondered about my weird update schedule, my normal weekend is Sunday and Monday, that’s why there aren’t updates then. Because of the holiday this weekend, I also get the 7th off. 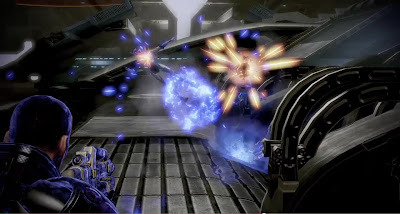 So in the F’ing Monkey household, that is going to be a day dedicated to Mass Effect. It may be the day I finally finish my third play through. The game has too many options; it took that many plays to do everything I wanted to do. 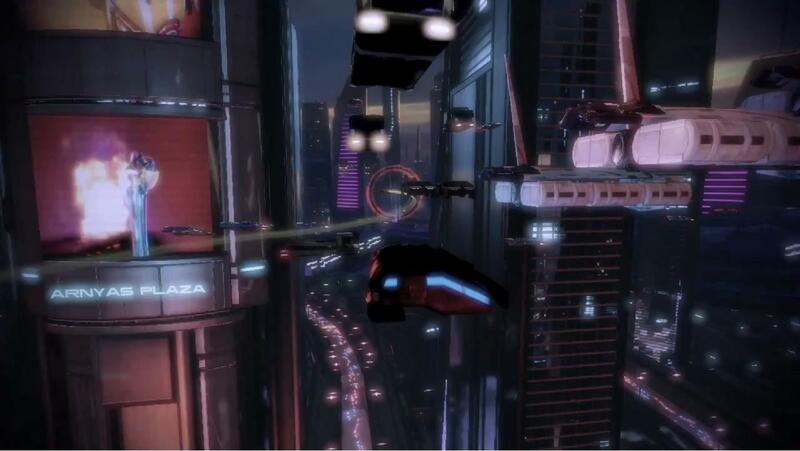 Bioware is claiming that Lair is the longest DLC released for ME2, so I’m pretty excited. The new DLC is also promising some kind of high speed chase. Between the Mako and Hammerhead we’ve had driving before, but we haven’t flown. It sounds cool, but it will probably be something that will frustrate me until I get the hang of it. 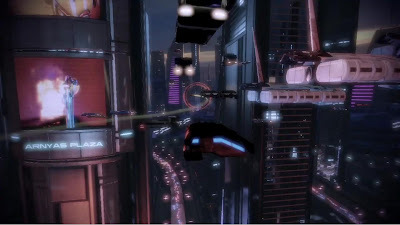 As a completeist I know that the back story of this mission was told in the Mass Effect comic. So I’m betting I’ll swing by my local shop and pick that up before playing. It’s a sickness, I know I should seek help. 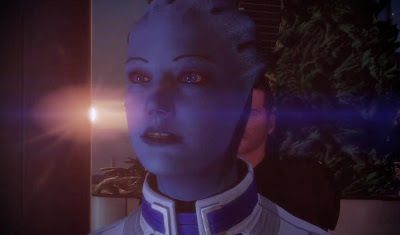 To be honest, Liara is my least favorite of the love interests for a male Shepard. She was a little annoying in ME1. The harder edged version in ME2 is making me like her a little more. But compared to Tali, Miranda, Jack, and hell even Ash she still is my least favorite. I did the stereotypical thing on my female Shepard game though, and totally went for her. My female character is always the Renegade for some reason; that might not be a healthy mindset. I’m anxious to see how her story unfolds. That says something for the storytelling; even the characters I don’t like as much are still interesting. Except Jacob, he’s just boring. Having only played through as a the 'good' guy Adept, what archtype and path have been the most rewarding? The combat styles all play so differently. I have a male "white knight" soldier. A male middle of the road Sentinel. And a female renegade Vanguard. The Soldier time stop is great for busting up the big guns that need to be charged. The Sentinel was great to have Overload and Warp. That and your energy armor made you ready for anything. The Vanguard fights are the most hectic. You get in the face of the bad guys. It is the most exciting combat I've had. As far as Paragon vs Renegade..Some of the Renegade choices are so dickish they are hard to make; others are too much fun not to make.